In a country whose coffee industry is known to push for quantity, the farmers in the remote township of Bilbao have, for decades, prioritized quality. 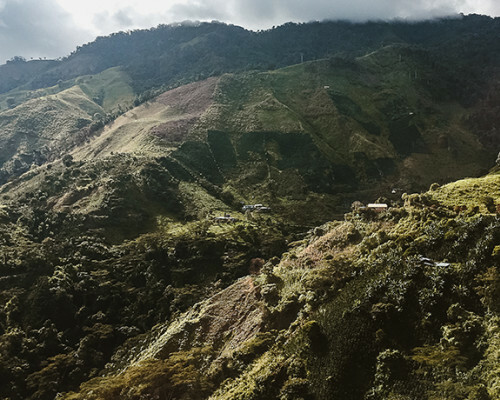 The vast and mountainous region they call home, Tolima, is just ending years of occupation by the paramilitary group FARC. Despite prolonged uncertainty and isolation, farmers began growing coffee organically long before it was fashionable. Their respect for the land that sustained them compelled them to preserve the rich volcanic soil underfoot. This light and snappy coffee, a blend of Caturra, Castillo, and Bourbon cultivars, captures the vitality of an origin that’s as inspiring as it is delicious.